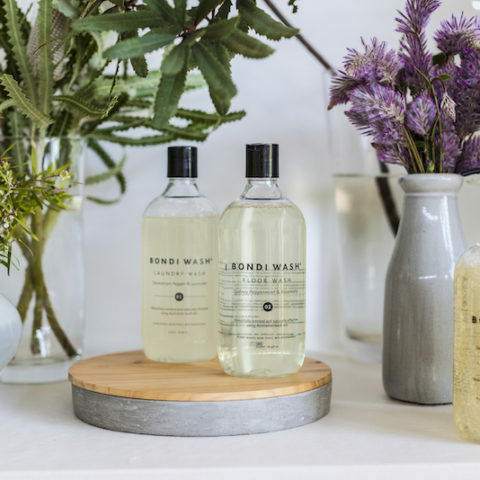 Launched in 2013 by Bondi-based mother of 3, Belinda Everingham, BONDI WASH was inspired by the novel ‘Perfume’ by Patrick Susskind, which is all about the evocative power of scent. Reading the novel while on holidays in Far North Queensland, and surrounded by unusual native flora, Belinda wondered whether Australia could create beautiful fragrances and products from native botanicals, just like the French have been doing for centuries. Products for the BODY include a Hand Wash, Body Wash, Body Lotion, Hand Lotion, Soap Bar and an anti-bacterial Hand Spray. There is also natural insect repellent range that repels flying and crawling insects in our Native Lemon scent designed around Australian native oils that repel insects. There is a DOG range – a dog wash, dry dog wash and a kennel spray in Paperbark & Lemongrass scent – perfect for a dog’s sensitive skin.